4) It should look like this! 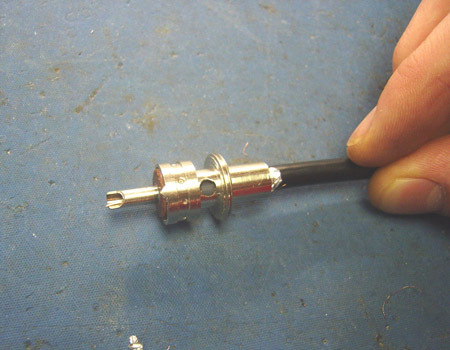 Hi I have bought a pl 259 to fit but the coax is a loose fit inside the plug. Does it matter or does the braiding have to be tight inside the plug? Thank you. 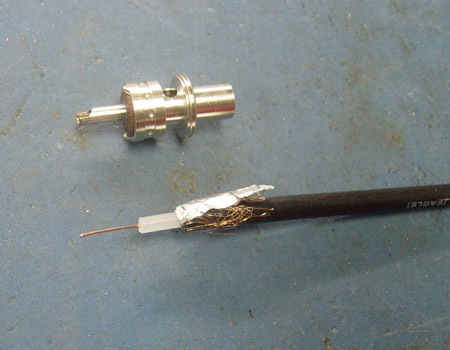 Guess I need to find out what diameter coax it is and get the right size pl259. 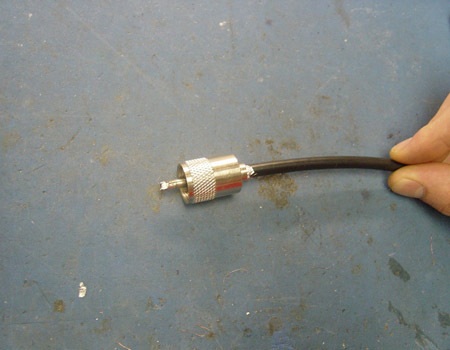 if anybody who is new with fitting a pl259 plug onto coax dont forget to tell the guys in the cb store what kind of coax your useing, http://www.thunderpole.co.uk/cable.htm as it is very important or you will end up with the wrong size plug for your coax. 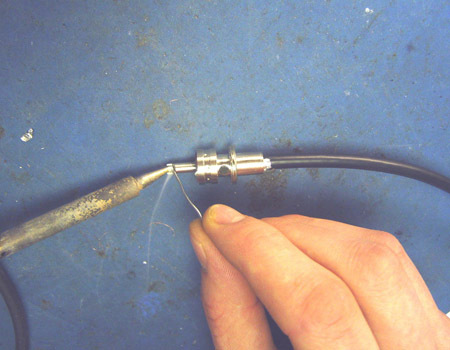 Having just bought some coax with just this problem i was told by the guy in the shop to simply solder the outer braid to the plug by pulling it through the hole in the middle part of the plug. We don't recommend pulling the outer braid through those holes as it is prone to causing shorts. It only takes one strand to short out the whole system! Screwing the plug over the braid is enough to get a good earth connection. andy@thunderpole.co.uk wrote: We don't recommend pulling the outer braid through those holes as it is prone to causing shorts. It only takes one strand to short out the whole system! Ok cheers. Been given bad advice then. To be honest I don't understand why some people solder the inner Braid on to the inner end of a plug for as the end should already be solderd wait for it to cool down then attach the plug just by screwing the plug on & off just in case the person needs to remove the plug from the coax bcos of a bad connection one day with out damaging the plug or the coax.